We would like to introduce you to Dr. Nic Spooner. Nic offers Holistic consults at Alma Street Veterinary Hospital on Wednesday mornings. 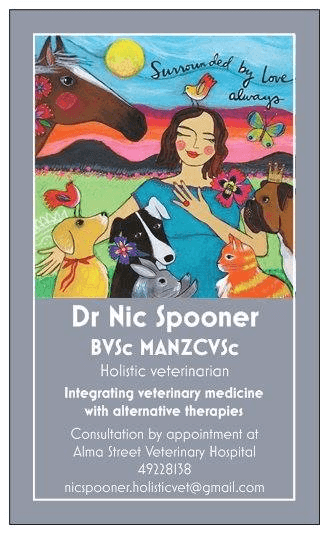 Nic is a holistic veterinarian who is passionate about integrating veterinary medicine with alternative therapies. Originally from a cattle property in Central Queensland, Nic graduated from the University of Queensland in 2001. 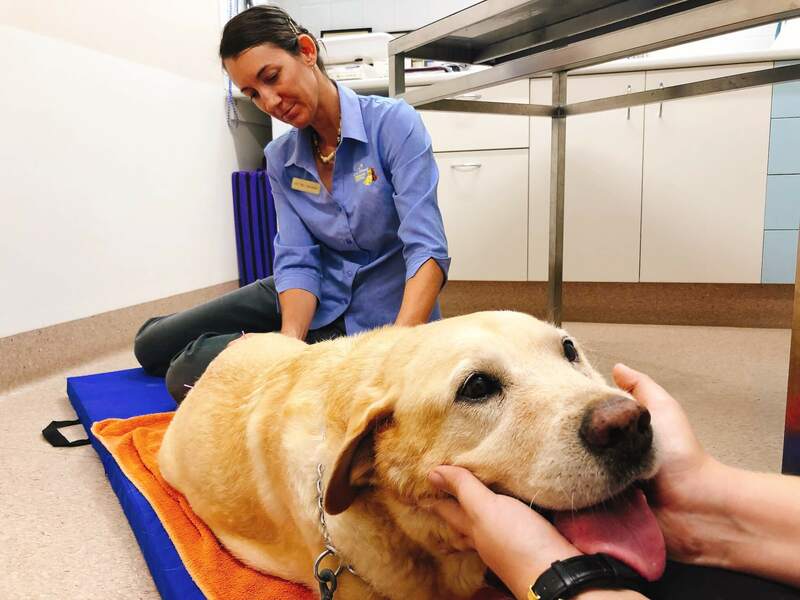 She completed a small animal internship at Queensland Veterinary Specialists in 2004 and obtained her membership of the Australian College of Veterinary Scientists in Small Animal Emergency Medicine and Critical Care in 2005. 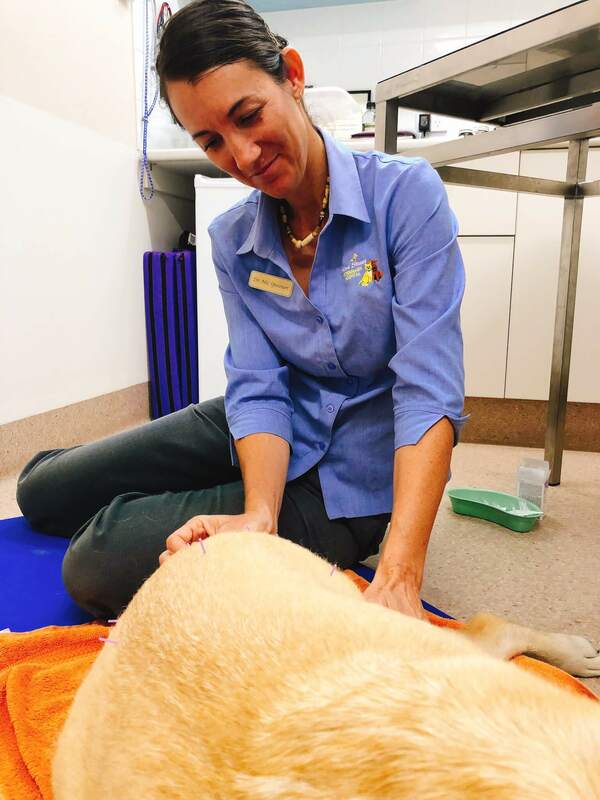 Over the past 17 years she has worked in mixed, small animal, emergency and specialist practices. She has completed her Graduate Diplomas in Veterinary Western Herbal Medicine and Veterinary Acupuncture and has a special interest in holistic nutrition and gut health. Nic has been working at Alma Street Veterinary Hospital on a casual basis since 2010 and is now offering integrative medicine consultations and holistic wellness plans for her patients combining a conventional approach to diagnosis and treatment with natural nutrition, supplementation, exercise, environmental and stress management, physical therapies and alternative therapies including western herbs and acupuncture. She is excited to introduce other complementary and alternative modalities in the future. Nic lives in Yeppoon with her three children, rescue cat Slinky Malinki, rescue kelpie Gypsy and some pampered sussex hens.